Since writing my last entry ‘The Goal Posts‘ at the end of March I have put my head down and trained HARD. I was making real progress and feeling more and more confident as each week went by. Everything was going to plan. Then I got thrown a few curve balls. The first was in the form of crippling back pain that lasted about a week. Once this was sorted, I got the start of a stress fracture in my right foot. After that, I came down with a flu that seemed to take FOREVER to clear up. Finally, once it had cleared and I was able to start training again, I got the start of another stress fracture, this time in my left foot! All this coincided nicely with the build up to my first race for the GB elite team out in Barcelona at the European middle distance championships. I can remember on the Monday before the race being convinced I would not be able to finish the run. As it turned out I was glad to be proved wrong. I was able to finish and while I did not have a great race it was a huge honour to represent my country at the elite level – Something I have dreamed of since I can remember. Moving forward I tried to use the disappointment of under-performing out in Barcelona as ‘motivational fuel’. It turns out disappointment is rocket fuel. I went out to the Pyrenees and in 10 days put myself through the hardest 10 days training I have ever done. On the last morning I was so broken I could not even manage 3 lengths in a 15m pool. 100% spent!! 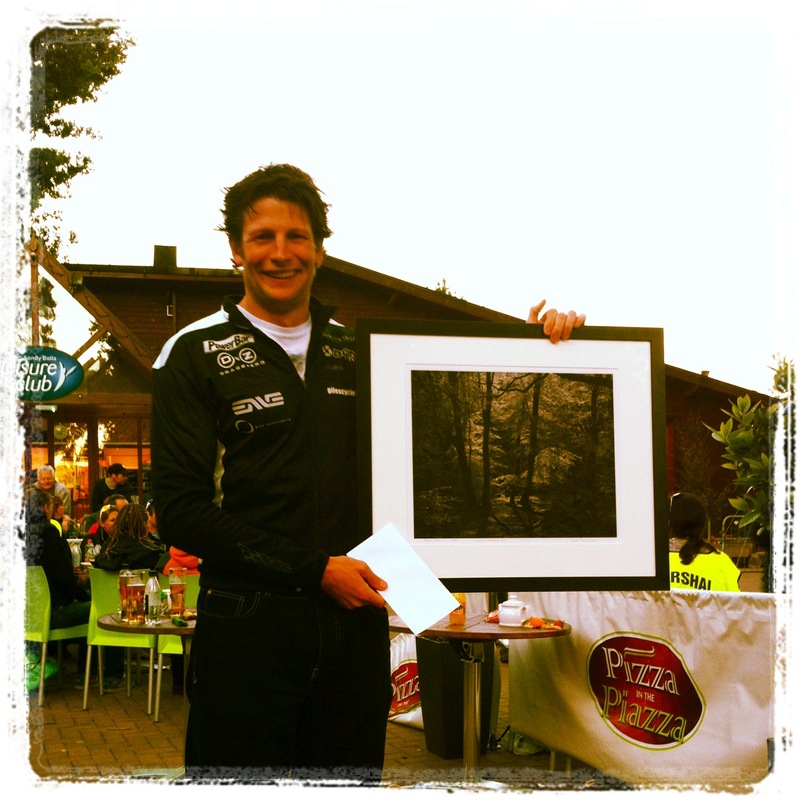 14 days later and I was standing at the start of my first Ironman distance race of the year – The Forestman. 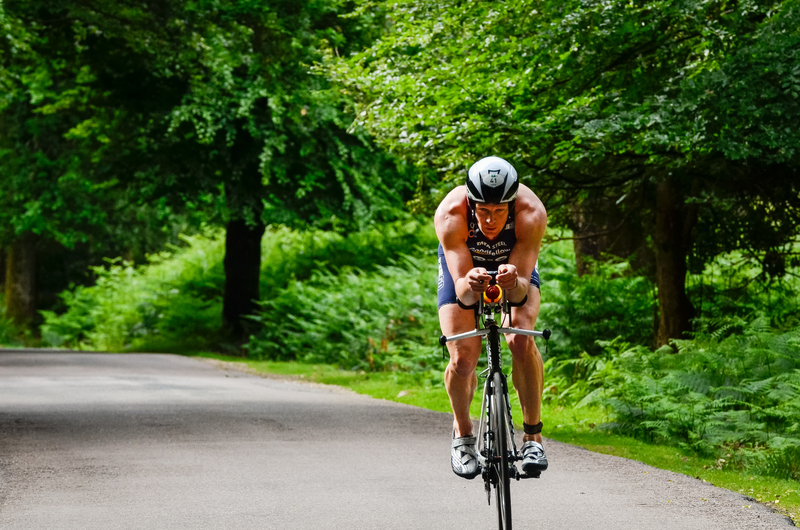 I have mentioned before that I seem to perform better in my second Ironman of the year, so with Challenge Roth on the 14th July, I thought the Forestman would act as the perfect springboard, much as the Outlaw did for Challenge Copenhagen last year. So after a chilled afternoon with Carli in a local pub we crashed early in one of the prettiest B & B’s I have ever seen. I was up at 2:30 for breaky and then left Carli snoozing as I wondered the 2km through the Forest to the coach pick up point. I was in a great mood, very chilled and found myself singing at the top of my voice as I walked through the Forest. The pre race admin went smoothly and I made my way to the lake to get warmed up. At this point we had a final race briefing, followed by something that I thought was really quite special. A vicar stood up and said a few words wishing all the athletes a safe day out in the forest. Now I am not religious in any way, but my crash in IM Lanza made this a little more personal to me and even brought a tear to my eye. I am always a little emotional at this point!!! Anyway, the swim went well. Right from the gun I had clear water in front and behind, and I felt fast. Not sure what the actual swim time was but including a long transition my overall time was 51:40 so I must have been under the 50min mark for the swim (I am really not that quick in transition). At this stage I had no idea what the time was, all I new was 2nd place was a LONG way back and from the reaction of the guys in the crowd it had been a pretty fast swim. Right from the very first pedal stroke I knew – this was going to be very good day. I just needed to stay controlled, on top of nutrition and puncture free. It is beautiful out in the New Forest, but to be honest I don’t think I really soaked up many of the amazing views. I was just totally focussed on the small stretch of tarmac in front of me, which seemed to be racing by very fast! That is, apart from the 10km stretch back to T2, where a truly brutal headwind slowed the ‘flying tarmac’ to a distinct crawl. The bike was 3 laps so we did this 10km section 3 times. For me, this was the part of the course that required the most focus. The long drag was mentally draining and my body was just screaming at me to sit up (the WORST thing you can do into a headwind). I shifted all my focus to making sure my position was as aero as possible, ignored the power numbers and just counted down the kilometres. Anyway, apart from that 10km stretch on each lap, the bike flew by! I was in a really really good mood and trying to smile and thank every marshal I passed. Who, by the way did an awesome job out there – thanks again guys. Normally, I hit a dip in power towards the end of an IM bike as fatigue starts to kick in. This must have been the first time that has not happened and I found myself coming into T2 feeling as good as I have ever felt at the end of the bike leg. The numbers…. Well they speak for themselves – Average power 304W, Normalised power 312W. My time was around 4hr 53mins which goes to show just how tough the conditions were out on the bike. I have done a few calculations and I am convinced the wind added a minimum of 12 minutes to the bike split. With Roth three weeks on from the Forestman, the plan for the run was simple. Run slow, relaxed, steady and make sure my legs were still in good nick at the end of the race. I could not afford to get this wrong. I started the run feeling great and really cruised the first lap. I was not running very fast at all but had a 45min lead off the bike so was in no real rush. As I started the second lap my stomach started to give me serious grief. In short, I ate too much too late the night before (I really should know better) and had not given myself enough time to digest all the food. The result, 3 serious loo stops on the second lap!! After that rather eventful second lap my lead had dropped to 20mins and if I am 100% honest I was not feeling that great. My legs still had a bit of spring left in them but my body was not in such a great place. At this point, I am not sure why, but I suddenly noticed the view. Don’t get me wrong, I had seen the same view for the last few hours, but on that last lap it really hit me. It is stunning out here!! The last lap was very much less eventful (no more serious loo stops thank god!). 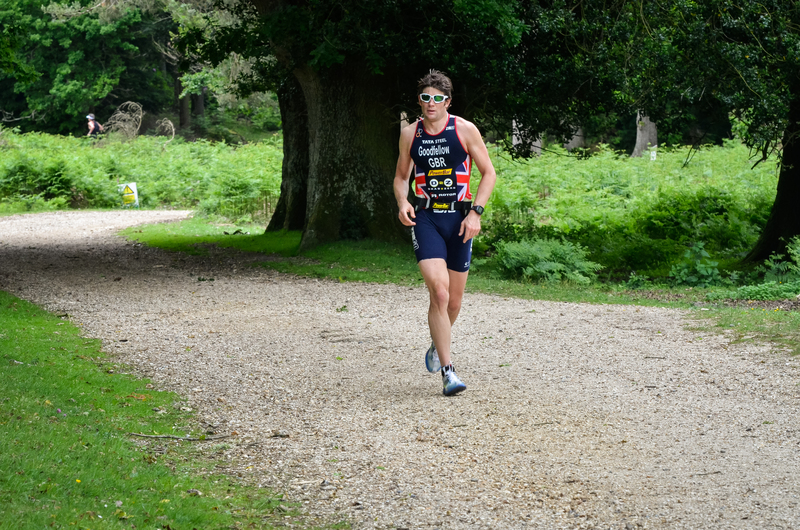 With 4km to go, I passed a family and as I passed, the little boy said to his Dad – ‘that is a proper triathlete Dad’. That comment put a real smile on my face – thanks little man! I came home in 9hr 39mins (22mins ahead of 2nd place) and in doing so set a course record. I was chuffed to bits! This was my 17th Ironman distance race and while the Forestman may not be the biggest event in the world, it really is something special. The vibe out there amongst the competitors, marshals and supporters to me is what sport is all about. I think the tri247 race report does a pretty good job of describing the day and what racing in the New Forest is all about.